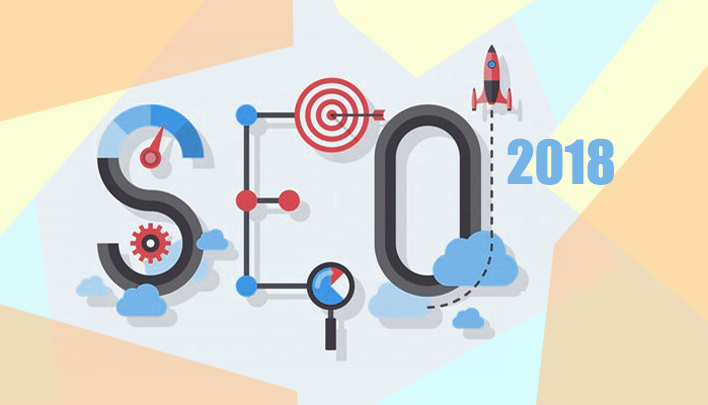 Doing SEO can be divided into 2 areas: On-page and Off-page. These two areas work together to make your SEO successful. On-page success factors rely on the actions done on the website by the business owner or the assigned team. Off-page success factors, on the other hand, are influenced by your website visitors, and other website owners or websites that link to you. Some of the off-page SEO success metrics are 1) Authority, 2) Engagement 3) Backlink Quality and Quantity 4) Reputation. There are tools out there that measure these qualities on your site such as Moz’s Domain and Page Authority, Majestic’s Trust Flow, and many backlink strength checker tools; Google Analytics for bounce rates and time on site which indicate engagement; social media and reputation marketing tools that approximate your reputation score. These qualities—the measure of authority, engagement, links, reputation—how good they are going to be, for the most part, result from your on-page optimization. If these metrics are low, there’s nowhere else to look but back at your website. So let’s take a look at on-page optimization. I have grouped them into three, namely Architecture, HTML, and Content. Let’s start with the more technical aspects. Make sure that every element is being taken cared for. Crawl-ability. Make sure that search engine robots or spiders can easily ‘crawl’ your pages and understand its structure, URLs, HTML elements, and content for proper indexing. Make sure that your robots.txt file is configured correctly. If your site isn’t crawled properly, it won’t be adequately indexed—and won’t come up in the search results. Mobile-friendliness. Does your site work well with mobile devices? If your website isn’t mobile-friendly, then it won’t come up on mobile searches which make up more than 50% of searches globally. Speed. Does your site load quickly? If not, then say hello to higher bounce rates and goodbye to visitors. Mobile-unfriendly websites or sites with poor responsive design also suffer from high bounce rates. Your site must load in less than 5 seconds. URLs. Your URLs must be meaningful. It must contain keywords relevant to the topic or content of the pages. HTTPS. Your site must be on HTTPS to provide a secure connection for your visitors. The HTTPS and the green lock icon is an indicator that it is safe to be on your website. The effort you made to ensure the privacy and security of your web visitors by using SSL, says that you care about your audience and target customers. Read more about how HTTPS can boost your website’s integrity and rankings. Titles, Description, and Headers. Your HTML page title tag must contain keywords relevant to the page’s topic. Your description must, yes, describe what a page is all about. Headers and subheads must include relevant keywords. Search engine spiders, when crawling a page gather this information for the search engine to execute relevant search results in your favor based on their algorithms. Your visitors on the other hand, will try to make sense of your content by scanning the title and description on the search results before clicking to go to your page. When they arrive at your page (your page has loaded within 5 seconds hopefully), they will scan the header and subheads to determine if your content is what they are looking for. Structured Data. Structured data allows for providing explicit clues about the meaning of a page to Google by classifying page content. Depending on what type of information a page offers, a valid structured data will make a page eligible to appear in Google’s special search result features and enhancements. Freshness. Is the last post on your blog 6 months old? You should be posting content regularly. You should also be posting content related to hot topics in your industry, hot topics that are in your wheelhouse that your audience is currently looking for. Quality. Do your pages have high-quality content that people will find useful? Is your content well-written? Are you merely posting content stuffed with keywords just for sake of (and false hope) of ranking? Is your content “thin” or “shallow” and lacking substance? You should be producing content that is of high value to your visitors. What other types of content should be on your website? Videos. You should have a video on at least a couple of your primary pages. Videos increase visitor engagement making them stay longer. All things being equal, a visitor would stay one minute longer on a page with a 1-minute engaging video, right? You should also have slide decks, and infographics on your website. A mix of content formats is better than plain old texts. Another tactic for increasing the time visitors spend on your site is cross-linking your pages. For instance, in Google Analytics, if you see more people spending more time on a page, or reading a particular blog post more, then consider putting a link on that post to another high-quality post to keep people on your website longer, and absorb more of the value you are offering. The more you engage your visitors with high-quality content, the more they will see you as an expert in your domain, and the more of your audience would share and link back to your pages—improving the metrics of authority, engagement, links, and reputation of your website, among many other success factors. The points mentioned here are non-exhaustive, there are hundreds of other tactics to use that we can explore. Follow this short guide to execute on your website, and you will be well on your way to improving SEO results.